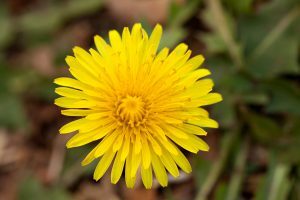 The Proper Way To Pull Weeds In the Summer – Ekana Nursery & Landscaping, Inc. The Place To Go For Things To Grow! You’ve recently planted your garden and things are going well until you notice a few dastardly weeds poking through. You know if they go unchecked, they can choke out your plants, so it’s time to take off the kid gloves and prepare to knock out those weeds. Pulling weeds is a staple of gardening, but are you doing it right? People can spend hours weeding, but if they’re not doing it correctly the weeds will spring right back up. It’s important that you don’t just head out into the garden and start pulling weeds. You need to get outfitted for an afternoon or morning of weed war. It starts with a proper wide brimmed hat to save your face from the sun. Even with sunscreen, being pummeled by the sun can lead to sunburn while in the garden. You’ll also want a pair of kneepads because you’re spending a lot of time on your knees and it’ll help keep your jeans a little cleaner. You’ll need a pair of sturdy gardening gloves. Why? Weeds will put up a fight when you’re pulling and some have deep roots. Without gloves, you can cut or injure your hand. They also help with grip and keeping your hands out of the dirt. The final piece to the puzzle is your gardening tools. You’ll want a small gardening shovel to help dig and a gardening claw to grab and pull. These are easily found at most lawn and garden stores. With your official gardening uniform and implements, you’re ready to take on the weeds in a battle to the death. The roots are easier to remove if the ground is moist, so the day after a rainfall or in the early morning is usually best. The soil is a little looser and you don’t have to put so much of an effort into weed removal. Look and see if there are any rocks or other obstructions nearby, such as lawn gnomes, and move them. Find the root you want to remove and use the shovel or claw tool to loosen the soil where the weed meets the ground. Break up any clumps and dig until you can see the main root area. Grab the root and pull it out of the ground. It’s important to get as much of the root as possible or the weed will grow back. If some of the root is left in the ground dig it out with your tools. Dispose of the weeds in a compost heap or trash. Keep in mind just because the weeds are out of the garden doesn’t mean they can re-root if they’re left on the ground. Ekana Nursery has everything you need to deal with those pesky weeds and plenty of advice if you’re having trouble. Contact us today and let us help you get growing.